He was Principal Conductor of the Stuttgart Radio Symphony Orchestra (Radio-Sinfonieorchester Stuttgart) and the Schwetzingen Festival, for nine years (1989-1998) then Music Director of Rome’ Teatro dell’Opera from 2000 to 2009. From 2004 to 2008, he also was Principal Conductor and Artistic Director of the Sydney Symphony Orchestra. More recently (2012), he was appointed principal conductor of the Orchestre Philharmonique de Monte-Carlo, post that he held until 2016, then becoming “Chef Honoraire” for life and being awarded the Monegasque citizenship by H.H. Prince Albert II. Maestro Gelmetti particularly treasures the Italian and French operatic repertory of the 19th and 20th Century, including revivals and premieres of rarely performed works. In Italy, he has conducted numerous productions at the Rossini Opera Festival: Tancredi, La Gazza Ladra, Otello, Maometto II, receiving the “Rossini d’Oro” award with Guillaume Tell (this was the World Premiere of the complete opera in original French language, lasting over 5 hours – see https://www.youtube.com/watch?v=4NufaurLuCw). With the Rome Opera House he conducted, among many others, the World Premiere of Marie-Victoire (1914, never performed) and La Fiamma (1933) by Ottorino Respighi; Sakúntala (1921) by Franco Alfano, Iris (1898) by Pietro Mascagni. He particularly treasures Mozart, having conducted Don Giovanni, Le Nozze di Figaro (was awarded the “Best Conductor of the Year” prize by Opernwelt), Così Fan Tutte and Die Zauberflöte. Some of the lyric works that he conducted: Falstaff at the Opéra de Monte – Carlo; Guillaume Tell at the Rossini Festival, the Opernhaus Zürich, in Monte-Carlo and in Paris; La Forza del Destino in Parma; Les Vêpres Siciliennes in Naples; Turandot in Tokyo; Il Barbiere di Siviglia in Toulouse; Francesca da Rimini, Amica and Das Rheingold in Monte-Carlo; I Due Foscari in Toulouse ; Un Ballo in Maschera, La Traviata in Trieste; La Fanciulla del West in Liège; Rossini’s Stabat Mater in Sarajevo; Rossini’s Otello. Most recently he conducted La Cenerentola for Rada Film and the direction of Carlo Verdone: again in Trieste for Haydn’s Die Schöpfung, Mozart’s Don Giovanni and Requiem; then Guglielmo Tell in Monte-Carlo and Paris; Verdi’s Requiem in Rome and Taranto. 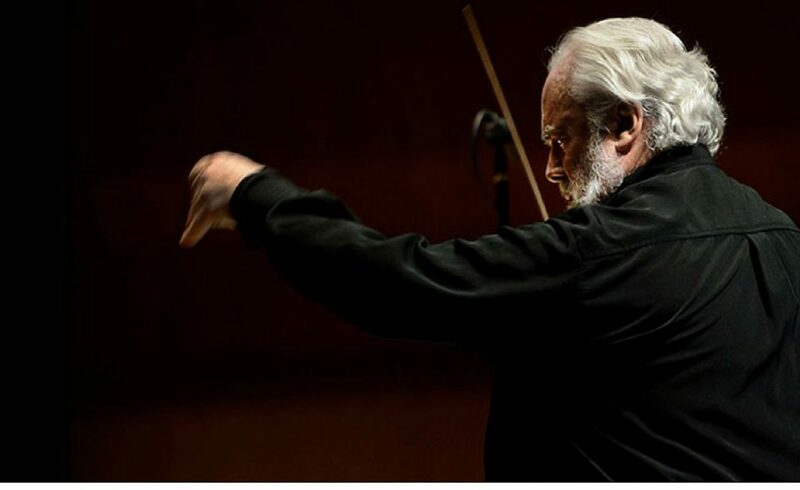 However, Maestro Gelmetti does not wish to be labeled a “lyric conductor” since he also regularly conducts symphonic concerts at Europe, America and Asia’s most prestigious venues, his repertoire ranging from classical to contemporary. He has led the most prestigious Orchestras, in Germany (Berlin, Bonn, Hamburg, Stuttgart, München, Köln, Dresden, Leipzig); in France (Paris, Toulouse, Bordeaux, Lyon) in Spain (Madrid, Bilbao), in Italy (practically all), plus the Czech Philharmonic, the Vienna Philharmonic, the London SO, the St. Petersburg Philharmonic, Copenhagen, Oslo… He also appears on podiums in China, Qatar, man… He has severally performed in Japan, both lyric and symphonic repertoires, conducting the NHK, Yomiuri and Japan Philharmonic Orchestras. He was awarded the Tokyo critics’ prize “Best Performance of the Year” with Beethoven’s Symphony n. IX in 1997. In 2006, he led a triumphal “double-tour”, presenting with Rome’ Teatro dell’Opera and also leading the Sydney Symphony Orchestra in concerts with music of Ravel and Tchaikovsky. His discographic catalogue, recorded mostly for EMI but also for SONY, RICORDI, FONIT, DECCA, TELDEC AND AGORÀ, shows the extent and complexity of his repertoire, including: several operas by Rossini, Puccini and Mozart; Ravel orchestral music; Mozart Symphonies; and selected works by Stravinsky, Berg, Webern, Varèse and Rota. Recent releases include Bruckner’s Symphony n.6 and Rossini’s Stabat Mater. Maestro Gelmetti is also the composer of, among others: In Paradisum Deducant Te Angeli, premiered by the Orchestra and Choir of Teatro dell’Opera in Rome and later performed in London, Munich, Frankfurt, Budapest, Sydney and Stuttgart; Algos for big orchestra, premiered in 1997 by the Münchener Philharmoniker; and Prasanta Atma, commissioned in 1999 to celebrate his revered Teacher Sergiu Celibidache (1912-1996). In 2000, the Teatro Comunale in Bologna commissioned him a Cantata della Vita for choir, cello solo and orchestra. He has also staged several operas: Il Barbiere di Siviglia, Cenerentola, L’Isola Disabitata (Haydn), Così fan Tutte, Tosca, Gianni Schicchi / Suor Angelica, Cavalleria Rusticana, la Traviata, Il Corsaro, Tristan und Isolde, sometimes directing and conducting them simultaneously. Gianluigi Gelmetti was named “Chevalier de l’Ordre des Arts et des Lettres” in France, “Commandeur de l’Ordre du Mérite Culturel” in Monaco and “Cavaliere di Gran Croce” by Italian President Carlo Azeglio Ciampi.